You enjoy working with metal? You are able to think logically? You are technically skilled? If this is the case, we are looking forward to your full application by post or E-Mail. As cutting machine operator, you work with modern CNC turning, milling, grinding or gear-cutting machines. Thus, you produce precision parts that have to be precise to one hundredth of a millimetre. Here, precision and care are the top priority. Your know-how: The machining technology. Your instrument: The CNC- machine tool. All of these are computer-controlled and you programme them for every new job. 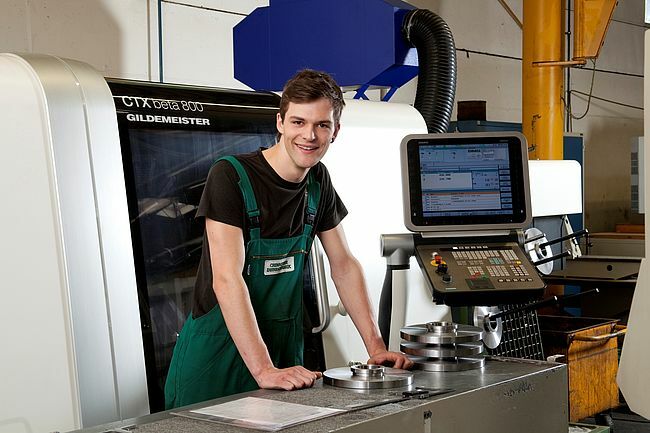 In this connection, it is your task to search the right tools for machining, replace the finished work pieces by new blanks and correct the error if the CNC- machine stops working all of a sudden.